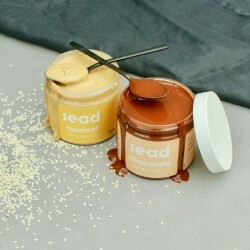 Sead have created a range of sweet spreads which are not only incredibly moreish, but are also nutritionally dense and plant based too. How do they do this? The answer lies in tahini: stone-ground sesame seeds. Not only do these little seeds grind down to make the most velvety-smooth spreads, but they provide us with an excellent source of protein and healthy fats, as well as being one of the best plant sources of minerals iron, calcium and copper. Gosh, not bad for one seed. 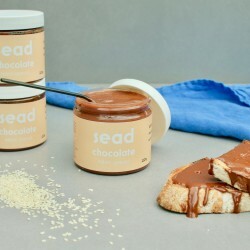 Sead have created three decadent spreads from this wondrous ingredient, with flavours including honey, caramel from coconut blossom nectar and chocolate from Peruvian cacao. They believe quality ingredients equals quality taste, so they only use the best natural, unrefined, plant-based ingredients in their spreads (and absolutely no palm oil). 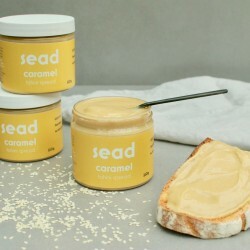 Sead spreads are perfect to jazz up toast and crumpets, amazing swirled into porridge and natural yoghurt, or drizzled over fruit and pancakes!